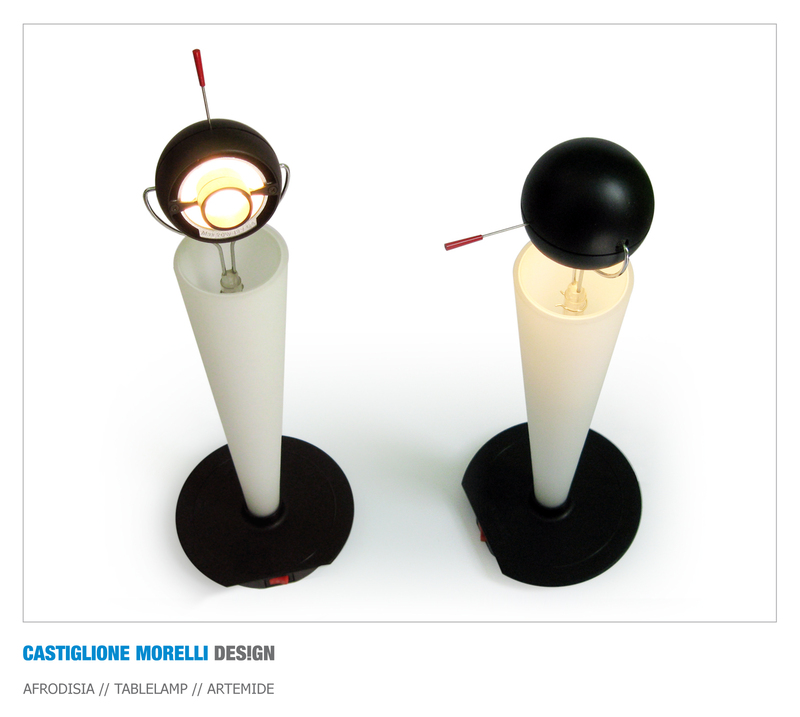 Afrodisia is a glass and metal table lamp expressly intended for the night zone of our house. When the bright beam is directed inside the opaline glass cone, it lights up and produces a pleasant romantic light as that of a candle. 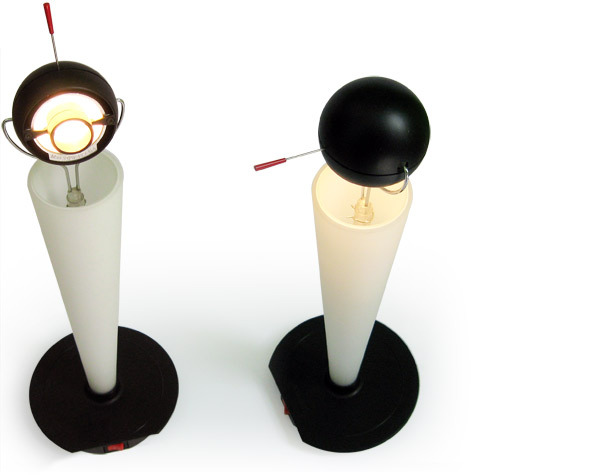 The lantern is made up of a spherical head provided with a low-tension 20 watt spotlight freely revolving around the metallic support for power supply. Two are the intensities of illumination and many are the orientations. 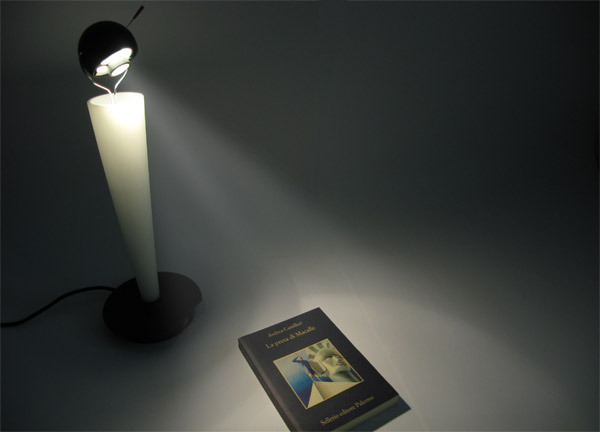 The bright beam can be directed on the table top or towards the pages of the book or directed inside the glass cone. As a lighthouse in miniature, leaned on the bedside table, it allows us to direct the bright beam according to the different requirements.